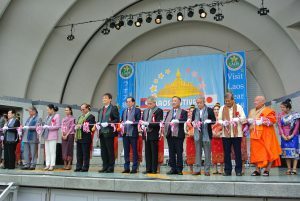 The Tourism and Exchange Division participated in “Laos Festival 2018” at Yoyogi Park, which has been organized to strengthen the friendship between Laos and Japan since 2007. 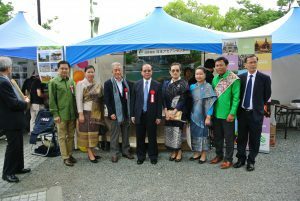 To commemorate the Visit Laos Year campaign of 2018, delegates and performers flew from Laos led by the Minister of Information, Culture, and Tourism, H.E Prof. Dr. Bosengkham Vongdara. 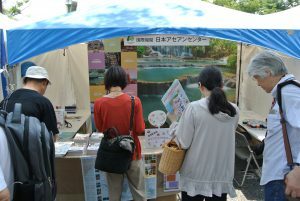 The ASEAN-Japan Centre, as a supporter of the event, participated the festival and distributed the tourism information of Laos and ASEAN, and the winning tour products of the Mekong Tourism Award 2017. 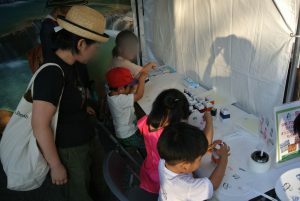 Visitors also enjoyed activities such as making original fans decorated with ASEAN icons, and Mekong fortune-telling for further familiarization with countries in ASEAN.